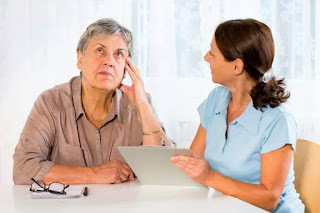 I will like to correct an impression that its only erderly or old people that suffers memory loss but that's not true because anyone can suffer memory loss either young or old. Loss of memory is referred to as situation when someone forget easily and could not remember past events. Loss of memory occurs when the brain cells is tampered with during accidents, shock or excessive drug abuse in young adults or even in matured men. Loss of Memory is also caused by brain trauma, migraine excessive, severe headache, excessive mental illness, allergies, exposure to hard drugs, chemical imbalance, alcoholism, strokes and some side effect of medications. 3. Balance Diet: Loss of memory in old age or young adult can be restored with by giving the person diets that contains vitamins, honey, fruits and more of vegetables. Its a good way to restored memory damage. These are natural ways to cure loss of memory in erderly or young adult. Its been tested and many people have used this method to treat loss of memory traditionally. Thanks for reading.